Family owned and operated, Compass Truck & Tire is dedicated to providing the highest standards in sales and quality service to our customers. Our team is customer dedicated and will focus on the maintenance and repair of your car and getting to know you, the driver. Our mission is to provide excellence, leadership and goodwill to our customers and our community through our skills as professional technicians working together in a family atmosphere. Compass Tire Service focuses on satisfying the needs of our commercial customers. 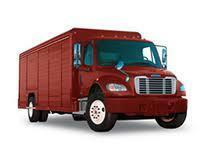 Preventative maintenance and truck service repair is our specialty. 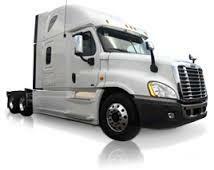 We are committed to providing you with professional, high-quality truck service and repair, completed quickly and conveniently, to keep your vehicles on the road where they are most productive. We specialize in providing our customers with the best service experience available. Because we don’t sell RV’s, we can focus solely on our core business – servicing and maintaining your unit. And we don’t just work on one or two manufacturer’s units - we service all makes and models of motor homes, travel trailers, 5th wheels, pop-up campers, enclosed and flat trailers. We are not only interested in fixing what’s broken “right now”, preventative maintenance is another way we provide a superior level of service than our competitors can match. We want to help you minimize the number of breakdowns and/or failures that occur during the entire camping season, because we know there’s nothing more frustrating than getting all set up only to discover that some key component on your RV is not operating properly. Our continuing relationships with our customers is why we’re in business, it’s why we’re growing, and it’s why if you give us a chance to show you how we’re different, we’ll earn the right to be your RV service shop for many years to come. Stop in or call us today! Don't forget that we also offer NYS Inspections for all size RV's and Trailers! We service Farm tractors, front-end loaders, backhoes, forklifts, skid steers or pretty much any thing you have. Give us a call with any service or tire service you may need and don't forget we can come to your site! Take advantage of our free WiFi, coffee, and a clean auto repair facility. We truly value the long-standing relationships we’ve built with our customers, and look forward to earning your trust every time you turn the key!